The USSR launches Venera 1 towards Venus. On November 16, 1965, Soviet spacecraft Venera 3 was launched. The Venera program space probe was built and launched by the Soviet Union to explore the surface of Venus. It possibly crashed on Venus on 1 March 1966, possibly making Venera 3 the first space probe to hit the surface of another planet. The Venera series space probes were developed by the Soviet Union between 1961 and 1984 to gather data from Venus, Venera being the Russian name for Venus. The first Soviet attempt at a flyby probe to Venus was launched on February 4, 1961, but failed to leave Earth orbit. In keeping with the Soviet policy at that time of not announcing details of failed missions, the launch was announced under the name Tyazhely Sputnik “Heavy Satellite”. It is also known as Venera 1VA. Venera 1 and Venera 2 were intended as fly-by probes to fly past Venus without entering orbit. Venera 1 , also known as Venera-1VA No.2 and occasionally in the West as Sputnik 8 was launched on February 12, 1961. Telemetry on the probe failed seven days after launch. It flew past Venus on 19 May. However, since radio contact with the probe was lost before the flyby, no data could be returned. It is believed to have passed within 100,000 km of Venus and remains in heliocentric orbit. With the help of the British radio telescope at Jodrell Bank, some weak signals from Venera 1 may have been detected in June. Soviet engineers believed that Venera-1 failed due to the overheating of a solar-direction sensor. Venera 2 launched on November 12, 1965, but also suffered a telemetry failure after leaving Earth orbit. 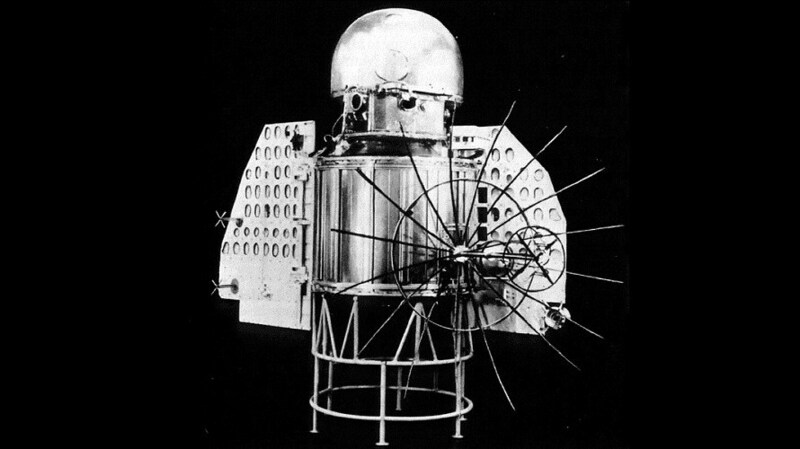 The Venera 2 spacecraft was equipped with cameras, as well as a magnetometer, solar and cosmic x-ray detectors, piezoelectric detectors, ion traps, a Geiger counter and receivers to measure cosmic radio emissions The spacecraft made its closest approach to Venus at 02:52 UTC on 27 February 1966, at a distance of 23,810 km. During the flyby, all of Venera 2’s instruments were activated, requiring that radio contact with the spacecraft be suspended. The probe was to have stored data using onboard recorders, and then transmitted it to Earth once contact was restored. Following the flyby the spacecraft failed to reestablish communications with the ground. It was declared lost on 4 March. An investigation into the failure determined that the spacecraft had overheated due to a radiator malfunction. Several other failed attempts at Venus flyby probes were launched by the Soviet Union in the early 1960s, but were not announced as planetary missions at the time, and hence did not officially receive the “Venera” designation. This entry was posted in Uncategorized and tagged 12 February, 1961 by Admin2. Bookmark the permalink.